Peterborough’s biggest landlord has won two funding competitions worth £200,000 to help benefit those in the city who are suffering financial pressures or are at risk of social exclusion. 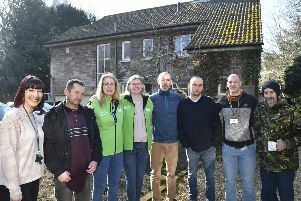 Cross Keys Homes has been chosen as Peterborough’s delivery partner for the New Horizons and Community Connections projects which are targeted at tackling the root causes of poverty and supporting those needing the most help to gain employment. Cross Keys chief executive Claire Higgins said: “We are delighted to have been successful in winning the competitions to deliver these projects which will help to make a remarkable difference to many people’s lives over the course of the next three years. Both projects, which are made up of multiple organisations in the county, aim to support the community and assist those in need through one-to-one sessions which aim to build upon a participant’s long-term stability, confidence and employability. Two new recruits have already joined Cross Keys Homes to help deliver these projects for the residents of Peterborough. Cross Keys helped over 160 adults during the course of last year get back into work.